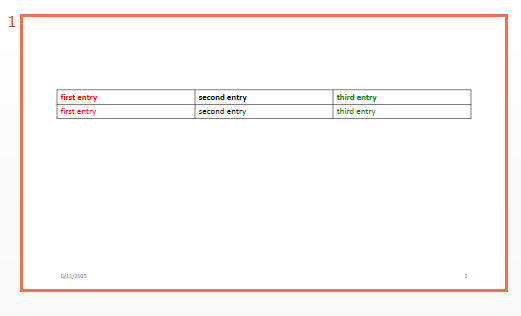 tableEntryObj = append(tableRow,entry) appends a table entry to a table row. Table row to append content to, specified as an mlreportgen.ppt.TableRow object. Table entry to append to a table row, specified as an mlreportgen.ppt.TableEntry object.